The eternal debate about whether rotogravure is better than flexography for package printing goes on unabated. 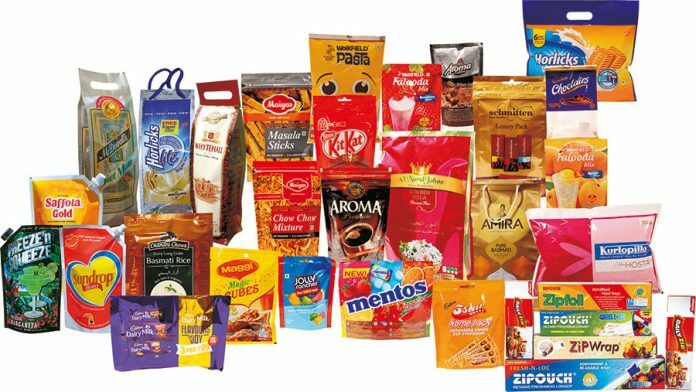 Our technical editor, a flexible packaging industry veteran, tries to assess the relative merits of each process as it stands today. This is the first of a series of articles in which we hope to get more points of view from both sides. Comments, inputs and case studies from our readers are most welcome. It is well known that rotogravure has always been acknowledged as superior in terms of print reproduction quality, consistency of print quality during a print run and its ability to be reproduced exactly as per the first run during repeat or subsequent print runs. In fact, in this respect, it is superior to any other printing process. It does, however, come with a high initial set-up cost in terms of cylinder costs by and large (although this varies substantially depending on which part of the world we are talking about; this is analyzed in greater detail later on in this write-up). On the other hand, flexography has a lower initial set-up cost (in terms of flexo plates) that makes it a preferred commercial choice if one is willing to compromise on print quality. Thus, for a long time, gravure has been perceived as economically feasible only for long printing runs whereas flexo was seen as commercially more suitable for smaller print runs. Is this perception still valid today? This is what we will attempt to establish. Gravure’s failure in publication printing has been due to the fact that there are no repeat print runs. Understandably, the focus of development in the last 2 to 3 decades for flexo has, therefore, been on finding ways to bridge the gap on print quality without significantly losing its cost advantage whereas gravure has had to focus on retaining the lead on print quality but innovating on the process or technology to reduce operating costs. It must be made clear that both these basic processes lend themselves not only to printing but also to other applications like coating, lamination and printed electronics amongst others. Even in printing, there are two major segments, viz. publication and packaging (particularly flexible packaging). This article talks about only their comparative suitability for the latter. It is a straightforward comparison between CI flexo printing and rotogravure printing using a conventional stack press for flexible packaging films and laminates. The gravure cylinder is a very precisely engineered product that is designed to effect ink transfer to almost exact levels at all times. This means that there will be no variation during a print run or even on subsequent print runs. A lot of work has been done on cell configurations, engraving methods and aids like electrostatic assist to ink transfer to optimize ink application and usage and to keep it constant with no adjustments required to be made to settings on the press as long as ink quality is consistent. This has significantly reduced ink consumption and made the whole process supremely consistent and less dependent on operator skills. All gravure cylinders are chrome-plated to protect the cylinder surface, reduce wear and to facilitate ink release and transfer, making it possible to maintain perfect quality over millions of impressions over multiple repeat print runs. In the old days, flexo used rubber stereos and there were severe limitations on tonal effects and sharpness in print quality because of poor control on application of printing inks. Subsequently, photopolymers (like DuPont’s CYREL) were invented that could optically be developed to make it possible to achieve tonal gradation and sharper print. A major boost to print quality came with the development of anilox roll systems as the application medium for picking up and transferring printing inks to the flexo plate and making it possible to control ink transfer to precise levels in the micron range. Of course, all these added costs to the flexographic process. An improvement in print quality was achieved but it still required press settings to be monitored and adjusted during the course of the print run and quality was related to operator skills. Quality of reproduction during repeat runs was thus not consistent and even the re-use of flexo plates was possible only if the flexo stereos had been well looked after and preserved carefully. Obtaining a high range of tones on a single flexo plate has always been a problem. Quite often, it becomes necessary to use two separate plates for for the same color – one for tones and one for solids – whereas a single gravure cylinder can effectively deliver the complete range of tones for a given color. Special tonal effects like vignettes can be achieved only on gravure. Generally, sharpness of line and text on very small print characters are better in flexo although gravure has overcome this problem by using finer screens (up to 250 lpi). All these can be controlled only by press adjustments during the print run and better operator skills – continuous monitoring plays a large part in achieving good and consistent print quality. Another problem (particularly in India) is that the substrate has to be reverse-printed with the print sandwiched between the top substrate and the second sealant layer in a vast majority of print designs. Here, gravure really scores over flexo and delivers much better aesthetics. Even good surface printing using flexo does not come close to reverse printing using gravure. Printing of films that are extensible and have low dimensional stability is better achieved on CI flexo where the substrate is supported all the way between successive print stations. In USA/Latin America – Flexo 80%, Gravure 20%. In Europe – Flexo 50%, Gravure 50%. In Asia – Flexo 20%, Gravure 80%. While gravure has stagnated in the Americas, it has actually gained in Europe in the last few years. Asia has always been dominated by gravure. The reasons for this are explained below. A recent (2018) survey conducted by well-known market research agency GfK in Europe revealed that eight out of 10 brand owners and retail chains prefer gravure to flexo to print their packages because it delivers the best quality. Surprisingly, markets in the USA have been less demanding on print quality and have generally opted for flexo because of the perceived lower costs of flexo plates as compared to gravure cylinders (although this is strictly not true, as we shall see later). Also, the flexo suppliers and proponents like Harper, DuPont, Kodak and Esko and flexo press manufacturers have been much more aggressive in pushing their technologies whereas the gravure industry has been comparatively laid-back. Brand owners in Asia have always plumped for the superior print quality of gravure although they are aware that, in the process, they are using more expensive laminate specifications (reverse printed structures vs surface printed coex films. Only very recently have very few niche markets opened up for surface printed EB curable inks that deliver excellent gloss, brilliance and good scuff resistance; these are printed wet-on-wet and that is possible using only a CI flexo press). This is a key factor and depends on equipment configuration. Top of the line flexible packaging structures now require cold seal adhesives or heat-seal coatings that are applied in register with the print design on the reverse of the laminate being printed. This requires that the laminate be turned over after printing in up to 8 to 10 colors and passed through another 1 or 2 print stations to apply these coatings. This is possible only in a stack press using gravure printing. While such press configurations are more expensive to install, they deliver much higher returns. Otherwise, flexo presses are cheaper and also occupy a much lower space footprint on the shop floor. Overall, ink costs are also slightly lower on flexo. By and large, set-up and change-over times are lower for flexo but this is changing with higher automation and more efficient handling on gravure presses. A significant development has been that gravure press manufacturers have worked hard on perfecting compact presses that are targeted for use in smaller printing runs and these are quite cost-effective. Even cylinder making, change-overs and cylinder washing have been highly automated. Set-up and change-over times have come down substantially. Are flexo plate costs really cheaper? Although the mass perception is that flexo plates work out cheaper than gravure cylinders and delivery lead times are extended, this is not true when total costs of ownership over several print runs are taken into account. Package printing requires repeat runs every one or two months. While one set of gravure cylinders will usually be fine for multiple print runs, very rarely are flexo plates suitable for use beyond the first run unless sleeves are used and preserved well for repeat print runs. Thus, the impression that gravure is commercially viable only for large print runs is not entirely correct. Based on present costs, although flexo plates are cheaper for the first print run, gravure cylinders work out cheaper when two or more print runs are required for the same printing design. Here, again, the costs vary substantially depending on where these are being procured. In the USA, gravure cylinders are more than 100% more expensive than their equivalents in Europe due to high labor costs. What is surprising is that they are more than 200% more expensive than those in Asia, where cylinder making is highly organized and delivery is at short call – quite often in 1 or 2 days. Again, there are many cylinder makers equipped with good electro-mechanical engraving whereas good top-of-the-line digital high definition flexo plate-making facilities are increasingly available but still not as extensively as gravure. I would still conclude that although the choice is based on a ‘horses for courses’ analysis and approach, the choice would usually be in favor of gravure for the large- and medium-sized Indian printer. More than anything else, he would have to go by what brand owners and markets want – which is gravure – and I do not foresee a change in this situation for quite some time. A significant factor is that even milk film printing (which is the largest surface printed film market) is still totally dominated by gravure. Even in Europe, the trend has been in favor of gravure, which now caters to 50% of the total requirement because of its superior print quality despite a reduction in sizes of individual print runs (a few years ago, gravure catered to only about 40% of package printing demand). Only in the USA has gravure been relatively stagnant. Next articleKoenig & Bauer acquires All-Print Holding A.B. S. Chidambar is an engineer and management consultant, who is one of the India's best known professionals in the Packaging and Plastics industries. He has been the CEO of four leading Packaging companies and his clients include some of the industry's leading organizations both in India and abroad.He writes extensively on Packaging,Plastics,Printing/Conversion and Communications and has been visiting faculty to IIP and several other mangement institutes for many years.He has pioneered the development of several hi-tech materials and applications. your article is one way oriented and information regarding the ratio between rotogravure and flexo presses in Europe is untruth. You also forgot to write about impact on the environment which is a very significant topic especially in Europe. Also India is speaking about restriction of toluene usage which is a part of gravure inks. You also forgot to mention tendency to use thinner and thinner materials, recyclable (it mens limited with different laminated materials), etc. So I am soory but your article does not have any meaningful value.